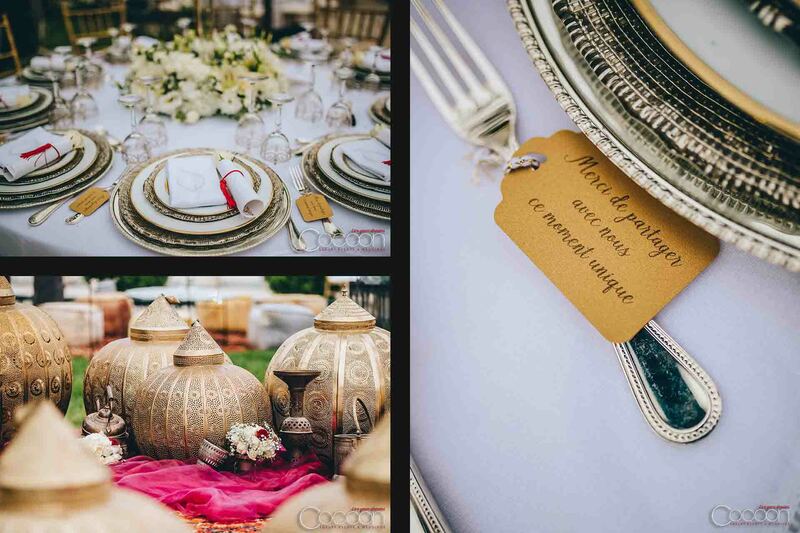 The best weddings are magical events both for happy couples and their beloved guests. 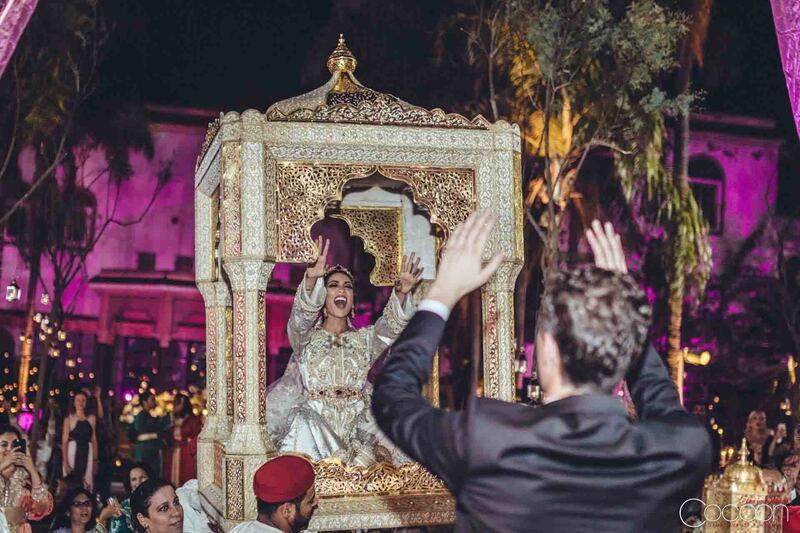 Maha and Tami’s Arabian Night in Rabat was exactly that kind of wedding – one that can never be forgotten. 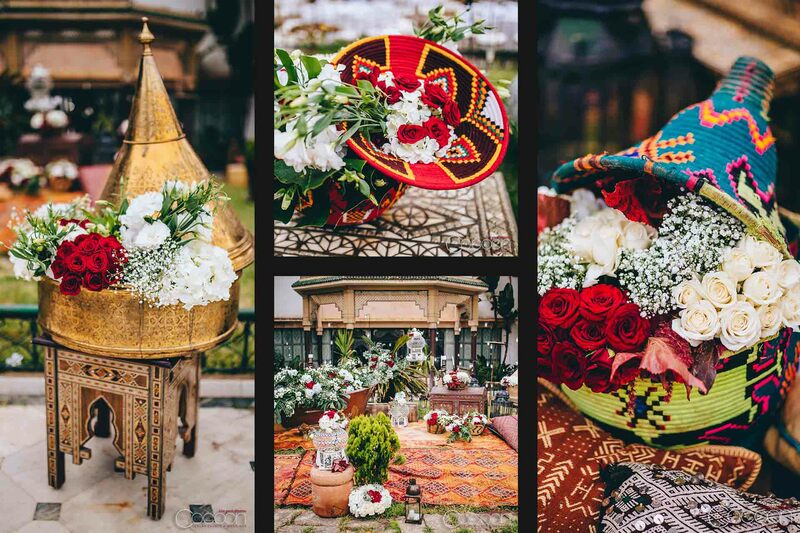 Filled with whimsy, romance and joy, their vibrant Boho-inspired luxury wedding in Morocco had an earthy, vintage feel that was simultaneously casual and elegant – exactly what our lovely bride ordered. 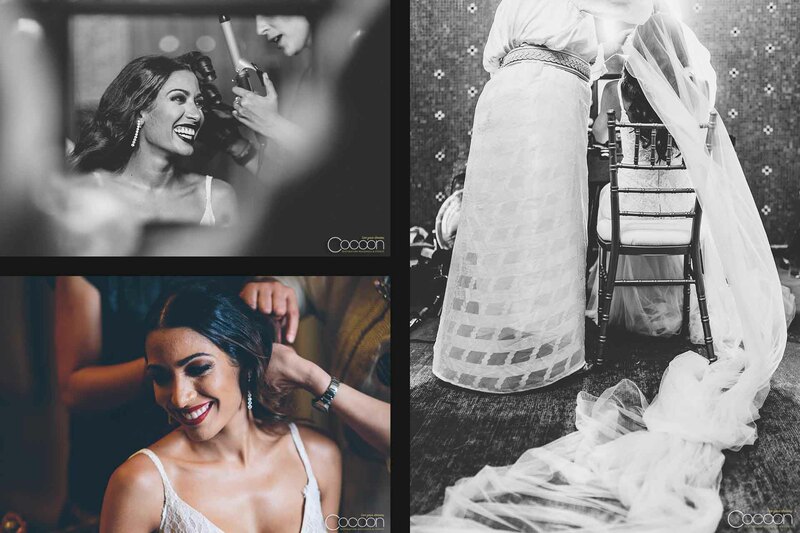 When we first consulted with Maha, she was crystal clear about one thing – she wanted her wedding to be “perfectly imperfect,” and low-fuss with a super relaxed feel. 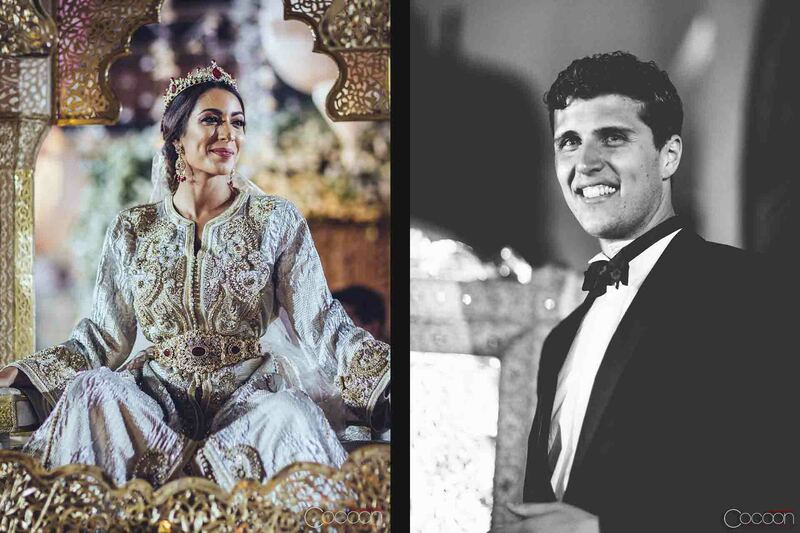 We accepted her challenge and produced a fun multi-day destination wedding in Rabat inspired by the legendary tales of the 1001 Arabian Nights. 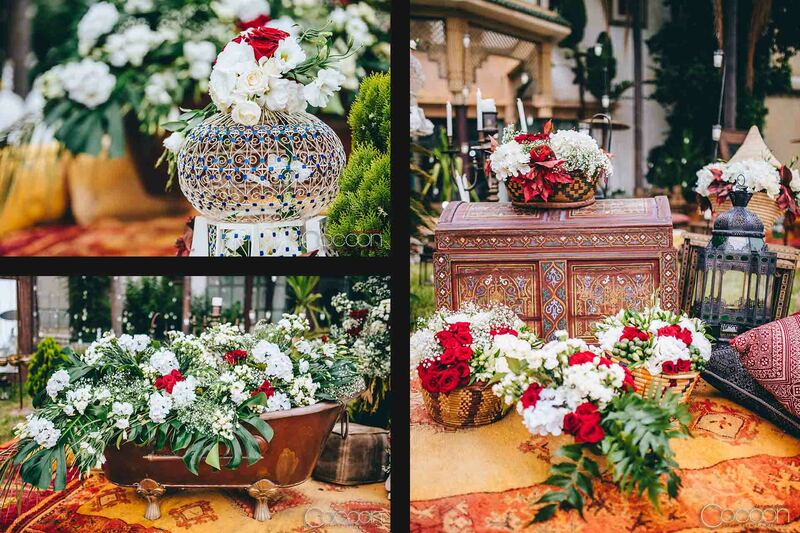 We drew inspiration for every aspect of the event’s design from the beauty of the local culture – the colors, the aromas, the sites and the sounds. 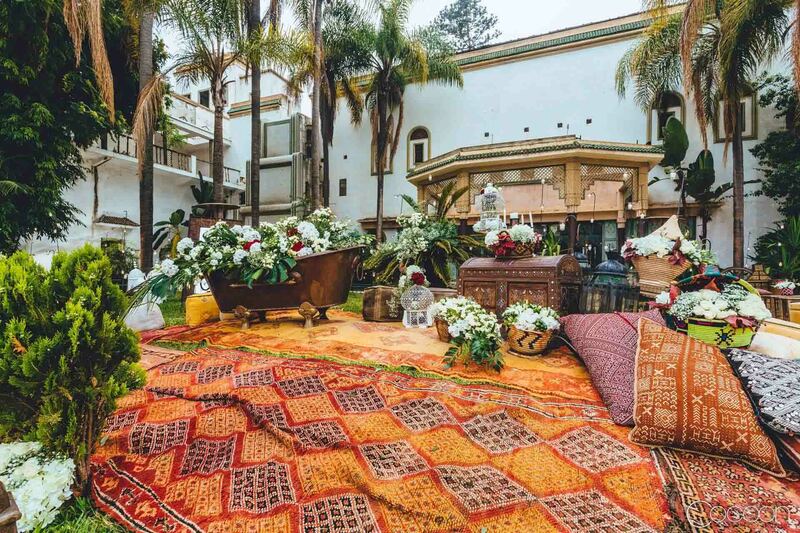 Each detail, from the rich tapestries to the professional entertainment was infused with the beauty of Morocco. 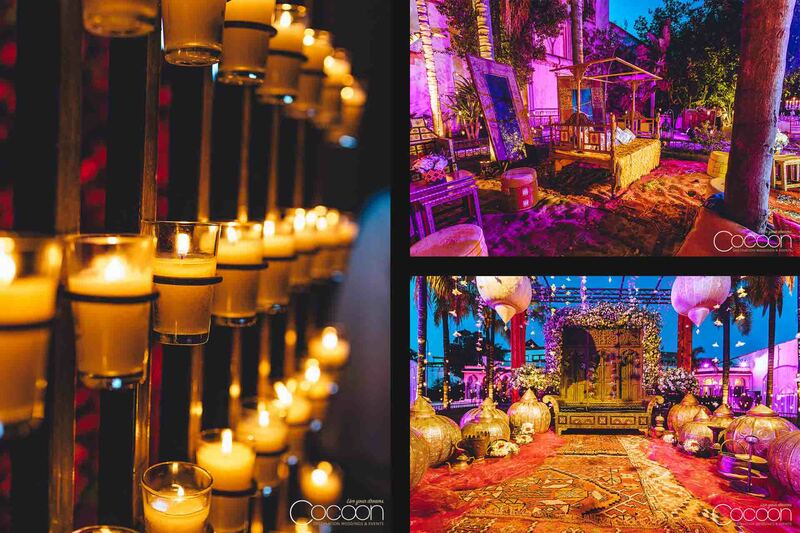 Among our favorite highlights was seeing the eclectic lanterns with their delicate, intricate patterns casually suspended among the twinkling fairy lights in the garden, perfectly complementing the Boho-style reception. Guests lounged on gorgeous vintage furniture while they relaxed and sipped champagne from charmingly mismatched flutes. Live performers entertained crowds with both traditional and contemporary music and dancing throughout the evening. And, of course, there were plenty of delicate floral crowns to go around, a must-have detail at Boho Chic weddings. 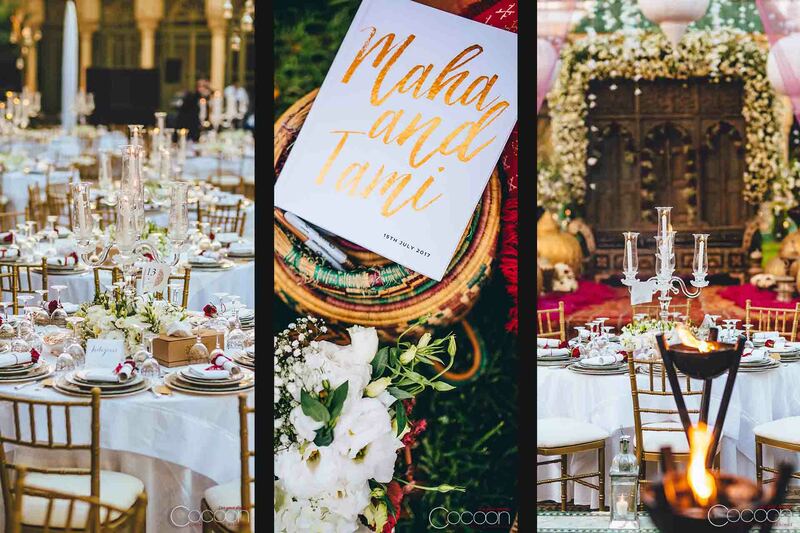 Maha and Tami’s tablescapes featured a cool mix of vintage glass bottles doubling as vases, with local wildflowers and candles to further enhance the atmosphere. Real antique décor pieces rounded out the overall look. 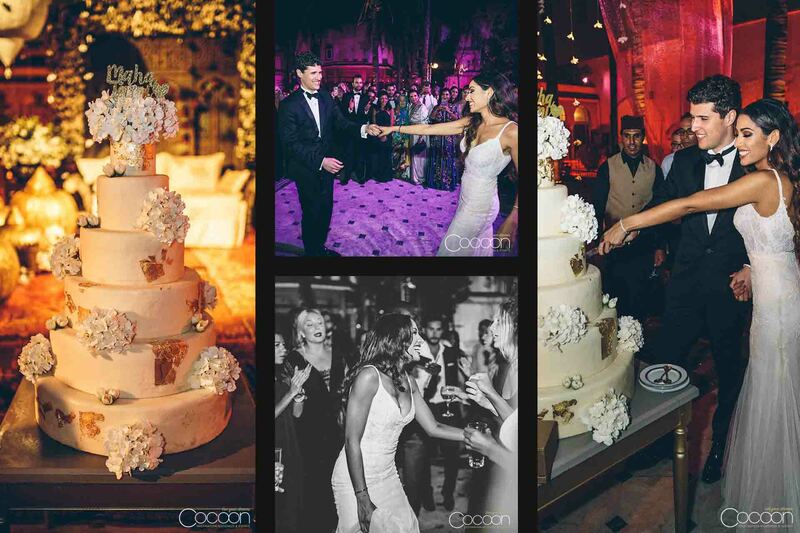 Guests dined on an exquisite, multi-course meal after which the newlyweds cut their enormous masterpiece of a wedding cake in grand fashion, then danced the night away surrounded by all of the people they loved most in the world.